Haven't received anything? please contact support@bingoclubhouse.com for assistance. Bingo Clubhouse is your very own bingo club where all the great benefits of your local club can be found right here online at the Clubhouse. Amazing Promotions and Trophy Rewards makes this clubhouse experience just like your local bingo club. 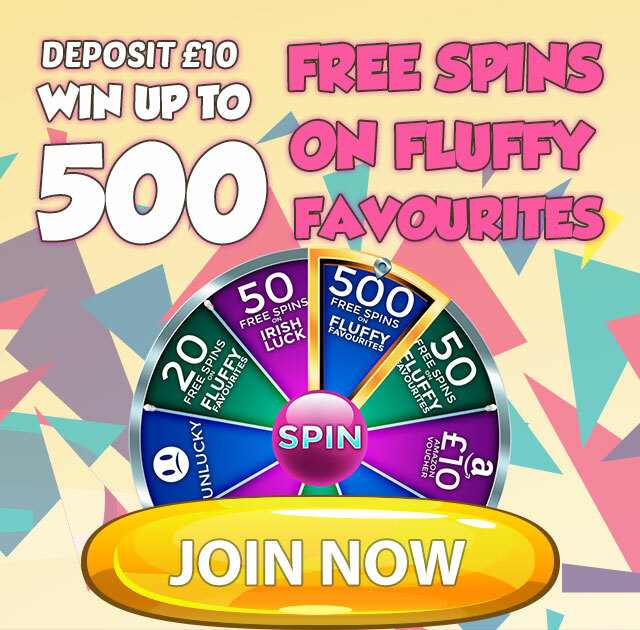 Spin the Mega Wheel when you join Bingo Clubhouse for your chance to win 500 Free Spins on Fluffy Favourites and other top slots! It’s a fun way to start your membership with our club and a great chance of increasing your bonus. We offer the very best in Games from 90-ball bingo & 75-ball bingo as well as the latest slot games, scratch cards, and roulette. And Help is never far away at Bingo Clubhouse with a local team of friendly support staff eager to look after you. Bingo Clubhouse is operated by Jumpman Gaming Limited which is licensed by the UK Gambling Commission ('UKGC') for customers in Great Britain and the Alderney Gambling Control Commission ('AGCC') for customers outside of Great Britain. All games on Bingo Clubhouse are regulated by the UKGC or both the UKGC and AGCC. Registered business address (no correspondence): Inchalla, Le Val, GY9 3UL, Alderney.